What does it take to run a business successfully in this competitive market? Although there are many answers to this question. However, the most essential part to be kept in mind is the preparation of an appropriate financial and budget plan. Without such a plan, it is quite impossible for a business to carry out their different functionalities effectively. 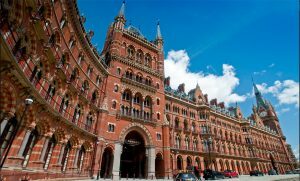 In order to stay ahead in the competitive market, Miranda Management and Accountancy Services Limited Offer the best quality accounting and tax services and financial management supports according to the needs of your business in King’s Cross St Pancras. So, still, if you have not found any auditors in King’s Cross St. Pancras to manage your accounting problems then MMAAS is the best place to stop at. The services that we commit to serve you with are provided by our trained and specialized accounting professionals. Our professionalized accountants offer complete assistance in several activities like maintaining books of accounts, tax calculations, preparing the budget plan, calculating VATs, CIS, payroll management, auditing, and various other services. Miranda Management and Accountancy Services Ltd. handle all your accounting information safely and protect them. Miranda Management and Accountancy Services Limited is one of the top accounting firms in London. So, we can assure you that our accountants in King’s Cross St Pancras are highly qualified working professionals. They are dynamic in nature. They have the zeal to learn new things. So, they are always ready to assist you anytime. Now, shake hands with us and we will take care of all your financial queries. Our team will help you out with the solutions. So, don’t hesitate and call us now for free consultation.